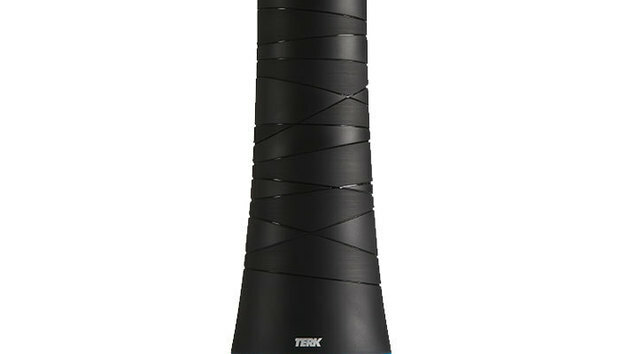 Terk’s latest iteration of its Omni-series of multi-directional antennas breaks from convention with an industrial design resembling that of the Amazon Echo smart speaker. While it didn’t tune in as many channels as our current top pick—the unamplified Mohu ReLeaf—the ones it did exhibited superior clarity. Terk chose the cylindrical design in order to fit multi-directional antennas inside. This means you won’t need to worry about pointing it toward your local broadcast towers. The onboard amplifier has three settings: Dual, Preamp, and Bypass. Dual mode leverages both the internal amp and the in-line amplifier, whereas preamp only uses the internal amp. Bypass skips both amps. A blue LED light ring at its base glows whether you have the amp turned on or off. In other words, if the amp is on, the light is on. If you plan to use the Omni in your bedroom, you’ll need to get used to seeing that blue light—or give up the amp. The health problems associated with blue light—especially its impact on sleep—are well known. Terk should have provided a switch to turn that light ring off. Using our testing procedure, I set up the antenna and ran two scans per amp setting. All scans returned identical results of 16 digital channels and two analog. It didn’t discover the same number of channels as comparable antennas, but the clarity of the channels when amplified was superior—especially when both amplifiers were turned on (i.e., using the antenna’s Dual setting). When I test antennas, my local PBS station is one of the channels that might or might not register. If it does, oftentimes the signal can get jumbled if someone sits in the wrong spot or walks past the TV. That never happened during my week of testing the OMNITWR on its Dual setting. Operating the antenna in Bypass mode, however, lead to the bad behavior. This is a very good antenna. Oh, one last piece of information you’ll want to know: When the ATSC 3.0 standard rolls out in the U.S., the Omni will be capable of pulling in 4K-resolution broadcast signals.